Non fiction, history, Suspense.. Go! Non fiction, history, Suspense… Go! I was just checking to make sure someone recommended it, and I see it’s you Bonnie, who am am beginning to think of as my book doppelganger. Seabiscuit; Unbroken. Both are amazing stories which read like fiction! Graham Kilgore James sorry it’s not a very good picture. 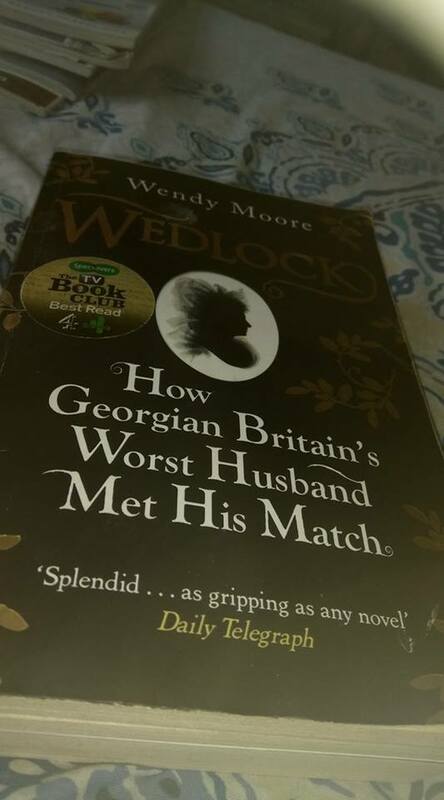 The Title is Wedlock its by Wendy Moore. A biography of the first woman to obtain a divorce in eighteenth century Britain. Any thing by Erik Larson. Political Order by Francis Fukuyama. The Prize by D Yergin about history of oil and the greed behind it. Finished it with another book club..What a read. Beth Reynolds very…. I was sad by the end how things unfolded …. Leonardo DaVinci by Walter Isaacson. “The Jersey Brothers” by Sally Mott Freeman. Awesome book. I’m from Altoona, PA, not far from Johnstown. Very good book…another occasion where working people suffered because of the rich. In Cold Blood- Capote. The audio version freaked me out a little but was really good. Non-fiction: Radium Girls, Just Mercy, Warmth of Other Suns.